Work, children, personal relationships, housework, and even social networks sometimes become an avalanche of tasks that we have to process in a hurry and go giving them out as quickly as possible. We often fall into the inertia of going off fires and jumping from one task to another, without time to stop and think and really reflect on what we are doing and why we are doing it, that is, if the tasks that occupy our day are really what we want to do, or if we are actually running in automatic pilot mode. It is obvious that we cannot choose many of them. For example, we cannot choose if we want to work, or if we want to pick up the kitchen or not, they are tasks that we must do. However, we can prioritize and order our tasks so that our routine is more balanced and harmonious, and we do not have the dreaded sense of wear that usually accumulates in our body as the week progresses. How to do it? Let’s go see it. As its name suggests, self-care is basically all those tasks and habits that we include in our routine to dedicate ourselves to take care of ourselves or improve our health. When we comment in consultation the need (yes, need) to include self-care spaces in the weekly routine, it often seems that we are talking about a utopia. We can think: “How? Looking for a moment for me alone “? This question is often followed by a great laugh. It seems that we have internalized that self-care is something optional, something we can do occasionally, in our free time, if there is any time left. We have become accustomed to working so that we are the last on our list of priorities. With few exceptions, most people do not appear in their own agenda. Perhaps this sounds somewhat drastic, but if we stop to reflect, we will see that day by day we make decisions in which we postpone tasks of self-care due to lack of time or because of the urgency of other more urgent objectives. For example, go to the physiotherapist, meet a friend who has not seen you for a long time, play sports, take a long walk with your partner, take a hot bath, get back that book you started a long time ago, go shopping, join yoga. This is the million dollar question, and the short answer is quite simple: because it is free health insurance. The only cost you have is the time you spend. 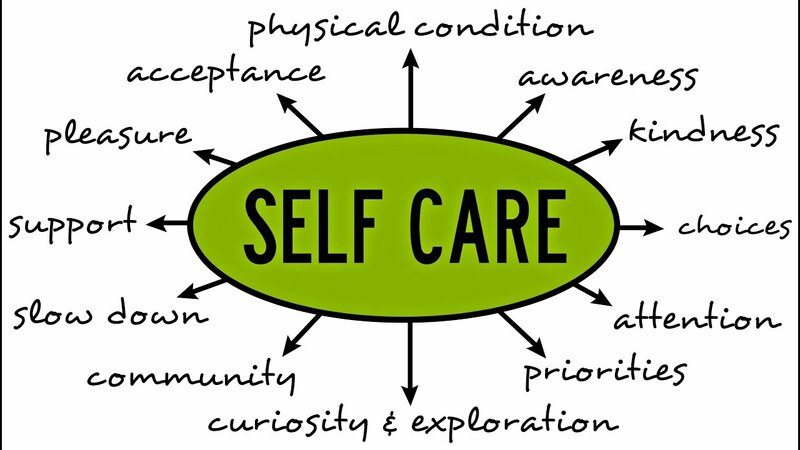 Self-care prevents diseases, immunizes you, and protects your health, both physically and psychologically. -Headaches, back, or muscle pain. These annoying symptoms that appear in times with a high degree of stress are the precursor that warns us that we are submitting to sustained stress for too long. This picture may worsen and make its debut in specific disorders in the future, such as the well-known burnout syndrome, or in anxiety disorders, such as panic disorder, or affective disorders such as depression. There are personality factors that can predispose us to suffer these disorders, and one of them is a high level of self-demand: that is, to demand too much of ourselves, to fulfill our role in all areas of our lives in a perfect way. This high level of demand can lead us to engage in a multitude of demanding activities, which involve a physical and mental effort and that in the long term if we do not have adequate self-care habits, can take our toll resenting our health. And finally, remember that all areas of your life (work, family, friends, sports, etc.) depend on you. Your health is a basic requirement for everything else to work. So do not think that by spending the time you are being selfish, or you are leaving aside other plots of your life. In reality, you are contributing to their sustainability, and investing in a healthier and happier future.